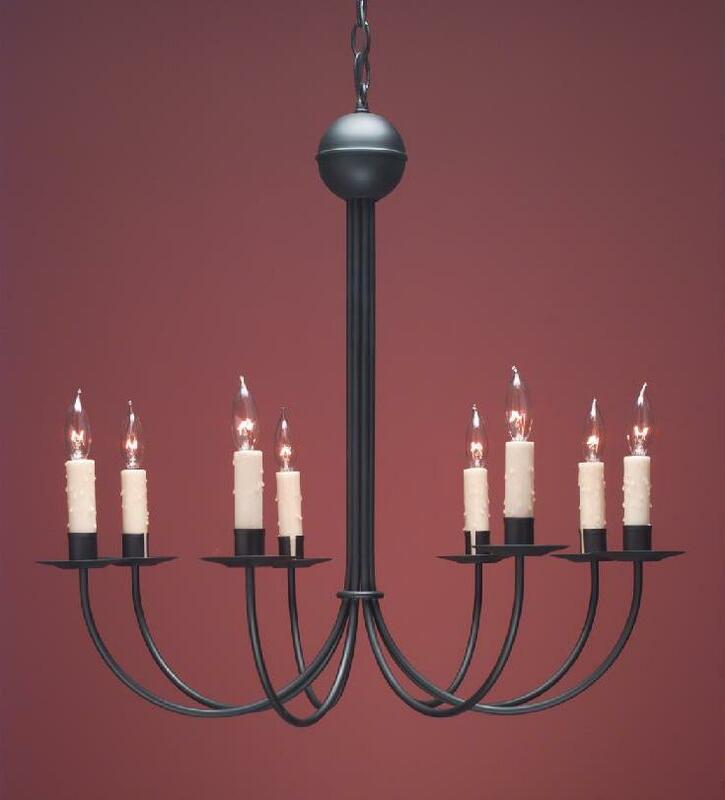 The Colonial French Country Chandelier FCCH510 features clean simple lines that blends well with many decor styles. The smooth “fish hook” shape is straightforward and uncomplicated. It is perfect for any room in the home, from the kitchen to the bedroom. For a larger great room or dining area consider the two tiered version Colonial French Country Chandeliers FCCH510A. Either way you can choose from antique tin, brass or painted black finish for your French Country Style Chandelier. In addition we always provide two feet of matching chain and a ceiling canopy with our Rustic French Country Chandeliers. For homes with high ceilings, we offer additional chain for a minimal charge. 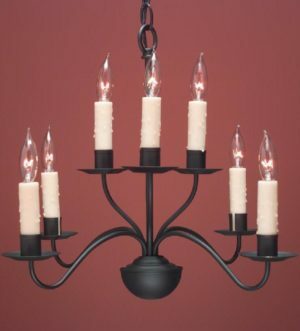 Furthermore each candelabra socket is UL rated for up to 60 watts. This assures ample illumination of your space. No matter what the same exceptional quality and craftsmanship you have come to expect from Hammerworks is evident throughout the French Country Lighting Collection. Most importantly the elegance and simplicity of Rustic French Country Chandeliers offer a unique look complementing a variety of home styles. From a Townhouse in the city to a Country Cottage or Vintage French Provincial these chandeliers make a graceful statement. Furthermore our French Country Chandeliers range in size from the petite French Colonial Country Chandelier FCCH503 to the refined and stately FCCH-501 3 tier,16 arm Chandelier. 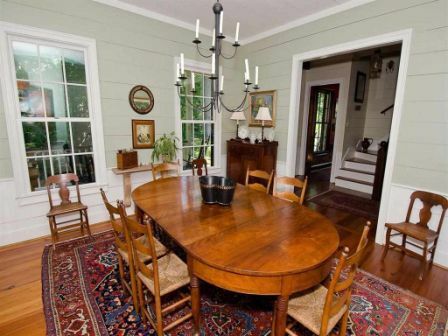 Therefore you will find just the right Colonial French Country Fixture to coordinate with your decor. Whether your design is simple, rustic or formal, there is a size and style to meet your criteria. 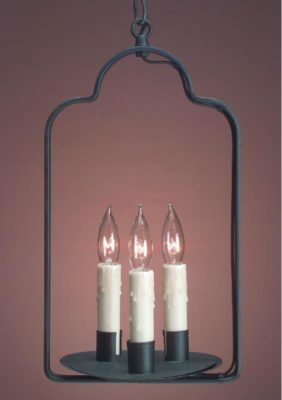 In addition to the French Country chandelier collection we offer a selection of coordinating wall sconces. Choose either the French Country Sconce Lighting FCS 213 (3 Arms) or French Country Wall Sconces FCS 215 (5 Arms) to complete the design of any room.